From goodreads: There are those who don’t get luck handed to them on a shiny platter, who end up in the wrong place at the wrong time, who don’t get saved. (New Adult Contemporary)*Mature Content** Recommended for ages 17+ due to sexual situations and language. 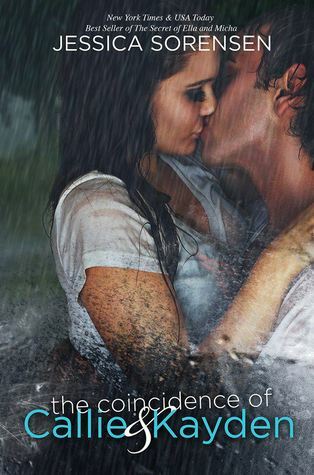 There is a lot about this book I enjoyed and there is plenty about Callie and Kayden that I thoroughly loved. However the dark topics that are major driving forces of the plot lacked the depth it desperately needed. These topics hit way too close to home and perhaps I’m being too tough when it comes to my review. When a story is describing the unhealthy coping mechanisms to escape the harsh realities of life it should be felt through each word, through each page and through each chapter. I should have finished this book not being able to think of anything else and I should have felt emotionally exhausted. This book isn’t bad by any means because I did enjoy the relationship that blossoms between Callie and Kayden. I enjoyed how they were good for one another despite the secrets they both harbor. I enjoyed how they both went to the same high school and met in the most heartbreaking way. There is the element of sadness that is consistent throughout this entire book as it should be considering the subject matter at hand but despite that, these two are fighting the fight to survive in their own way. This is a sweet love story filled with pain and it is an enjoyable read. My final two cents: I live for angst and emotional turmoil!!! Even though I struggled with the lack of depth, I was still interested in the story. I was still interested in to find out what happens next. I am still interested in reading The Redemption of Callie and Kayden…those damn cliff-hangers get me every time!!!! I just downloaded a sample of this book for my Kindle. I’m glad I read this. Thanks, Cristina!